Our staff keep fit through a chilly March! 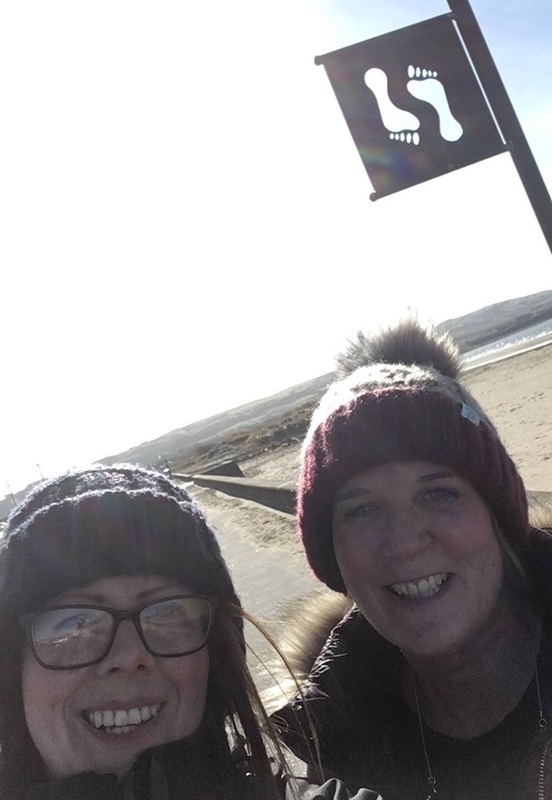 A 19 strong team at Ayrshire Housing has added 6,326,022 steps to March’s Walk All Over Cancer active walking challenge. This is a combined fund raiser and health awareness initiative by Cancer Research UK. Apparently, Ayrshire Housing’s effort is the equivalent of “walking” from Ayr to New York. It is perhaps more realistically tramping the entire Ayrshire coast from Glenapp to Skelmorlie eighteen times there and back. Emma McRae of the association’s Health Working Lives team said “we’re delighted with everyone’s enthusiasm. It certainly made for some interesting lunchtime walks which hopefully we will continue to enjoy! It’s great that we’ve been able to support Cancer Research as we work to maintain our Healthy Working Lives gold award”.